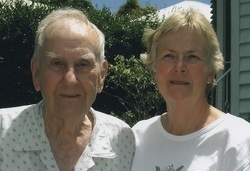 Ross Davies on his 90th birthday with his daughter, Jill. The bridge planks rattled. We experienced low levels of regular flooding. Since the bridge has been resurfaced and levelled it is higher. The footbridge to the Bowls club and sporting fields was originally stepping stones across the creek. Then the wooden bridge was built, then destroyed by flood, rebuilt using steel girders, the next flood bent the bridge. They bought in a crane to lift the bridge with the bow pointing upstream, they then repositioned it. Known locally as the “Banana Bridge”. The city council bus service was introduced in the late 1950’s. The route taken was around the Woods, via Gresham, Piddington, Laird, Buckingham and Gresham Streets, then up the hill to go along Coopers Camp Road, Lewin Street, Arthur Terrace, Enoggera Terrace, back onto Waterworks Road and Musgrave Terrace into town. A lean-to at Ambassador Theatre, corner of Gresham Street and Royal Parade owned and run by Jack and Lil Hinton. Two tennis courts where situated next to the Hinton’s shop. In St. John’s Avenue (opposite Laird Street) shop front of a house was a mixed business owned by Eugene Franklin. Chandlers Corner was built and a men’s barber, fruit and vegetable shop, and butcher (Mr. Chandler, himself). Chandler built a service station which he operated behind the shops. On Saturday nights in the 1930’s, there were night dances. Alcohol was allowed. My brothers, who lived in Auchenflower, used Yellow Cabs to get to the venue. The hall was converted into a picture theatre in the late 1940’s, operated by Jack Hinton. Canvas seats and was a great venue for families. Show consisted of the “Movietone” News and two main films, with interval in between the films. An application for a reception centre for weddings etc. was refused because of inadequate parking. The theatre was demolished and Ashgrove squash courts built. Closed in the late 1990’s, due to lack of players. The courts were demolished and the present Childcare centre was built. Situated in Laird Street, with a rotunda at the front and houses built on pieces of the land. The Hall had access through an easement, and was used as a Scout Den and a Polling Booth at election times. No.2 Royal Parade, a house relocated from near Coles at Ashgrove, elected not to be resumed by the Brisbane City Council after the 1974 flood. The other 4 houses were resumed and relocated. Jenkins house opposite 37 Royal Parade was resumed and the house relocated. 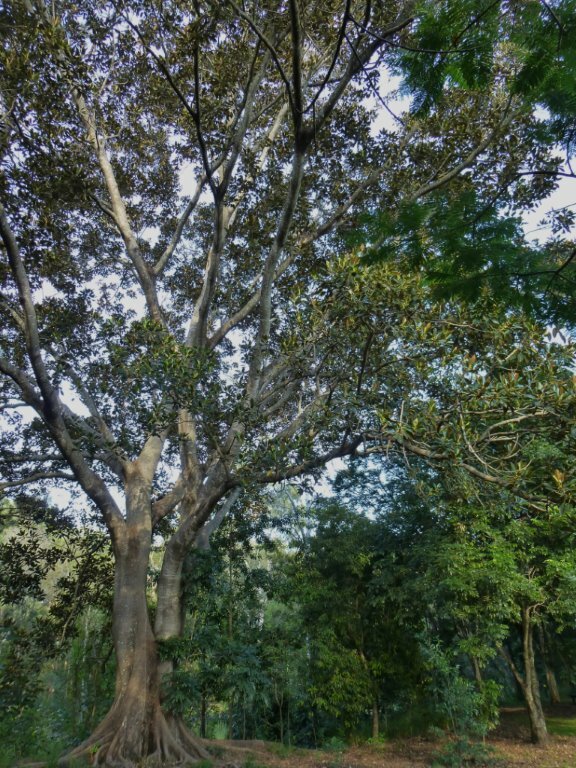 The Moreton Bay fig tree opposite 27 Royal Parade was in our lounge room, and then was planted on the creek bank about 40 years ago.